Please find step-by-step outlines, and short videos to show you how to update the CMO web site. Feel free to pause the video, or back up, if you need to review anything. And, if you don’t see here something that you need to do, give me (Fred) a call (513.559.9987) or email. 1) To start, you have to LOG IN. Go here: http://www.gocmo.org/wp-login.php (you may wish to bookmark this.) Below is the login screen. 2) Ddd your username, and password. You need to get this from a board member, or email Fred. 3) When you are logged in, you will see the DASHBOARD, which looks like this below. For the future, about ALL the things you need to do, you can find in the area I circled in red. Basic Page Edits. Changing and adding style to words. If you find you need to change an existing page, here is how. From Dashboard, select ALL PAGES. Note, pages are shown in alpha order. Hover over the page name, and it turns red. Select the page, and it will open. Use the VISUAL EDITOR box. It is just like MS Word. If you are a power user, you can click the TEXT EDITOR box, where you can see HTML. In VISUAL EDITOR, roll your mouse over the nifty ICON-BASED options. Bold, italic, centered, and more fancy things are there. Some more colorful buttons are advanced, and are called SHORTCODES. More on them later. The FORMAT BOX is a dropdown to add a pre-determined style to text. You can guess by the relative size of the examples what they are. For this style, this is what they “create”. You select a Paragraph of text (this only works, like MS Word, on whole paragraphs) and you can apply the style. How do you change the styles? You edit the “CSS” code (not too hard for a web developer) but please know, the style will change globally, across the web site. You can experiment to see what they do. But mostly you will be typing over words, adding or changing information. When finished, CLICK THE BLUE UPDATE BUTTON IN TOP RIGHT of the screen. Go the the web site page you worked on, and REFRESH your browser to update, and see your changes. Here is the Video Demo. If it is not clear enough for you, click the GEAR button on the bottom right, and raise the resolution to HD. Or, you can click the “full screen” icon to see it nice and big. Events automatically appear on the home page, and on the right SIDEBAR on all pages. When the events are over, they automatically disappear. I have a video instruction below. If you prefer, here are the instructions in outline form. Click EVENTS. You will see all of them. If this is your first time, I suggest you click any event, and look at where the information is. If you alter anything, don’t worry. Unless you click “PUBLISH” anything you changed accidently will not be saved. When ready, click NEW EVENT. (either in left collumn, or at top of the list of all EVENTS. The top most area says “Enter title here” – there is where you add the concert title. I like putting the concert name in ALL CAPS, and any short descriptive words after it just normal.. Like, SUMMER POPS – Great Music of the Season. The second box is the BIG empty one, where you add the information about the event. You can add hard returns, make tupe bold or italic, add bullets, etc, by using the style pallet at the top of that box. Click EVENT DATE and a nifty calendar pops up. Click on the date. Click EVENT TIME and a 24 hr slider bar pops up. You do need to do the math to make 7:30 be 19:30, but it will show normally on the web page. Next is a nifty MAP. It may be a bit intimidating at first, but click the Plus signs, and scroll to where ever the concert is. You do need to zoom up. When you see the street names and area, then click the SET VENUE POSITION button, and click the spot on the map by the venue. Cool. Fill out the blanks down the page: VENUE ADDRESS, VENUE PHONE, AND VENUE WEBSITE. Leave blank any that we don’t need. That is it. Either click SAVE DRAFT if you want to not publish, but save for later. click PUBLISH to save, and put this on the web. 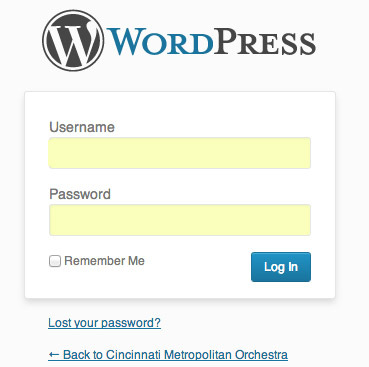 I like to have two tabs open, one of wordpress, and one of the actual page, so I can click back and forth. This is demonstrated at the end of the video. You do need to “refresh” the actual page, in order to see the page update. OOOOhh. Very cool. And if not cool, just change the page, and re save. How to Add a page to the Top Menu, and change position on Navigation. This website has one menu. You will see the layout on the right. Select the new page you have created on the left column, called PAGES. if you don’t see the page, click ALL PAGES. Click the check box beside the name of the page(s) to add to our Main Navigation. The pages appear on the bottom of the Menu. Drag and drop them where ever you want them to be. If you want a dropdown- sub page, drag the menu to the right a bit. It will stay there, and will be a dropdown under the page above it. How to Make a Page Password Protected (members contact list), how to edit that page, and how to add a new downloadable contact list file. 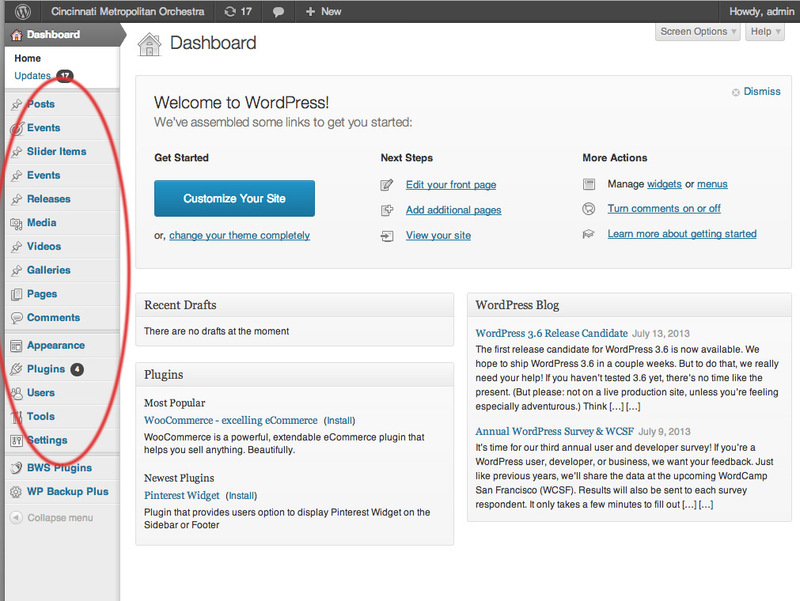 On top right of page, see “PUBLISH” > VISIBILITY: PUBLIC. Click EDIT to the right of PUBLIC. More choices will appear. Click the radio button saying PASSWORD PROTECTED. Click OK (in that box) and then click UPDATE to save this work.